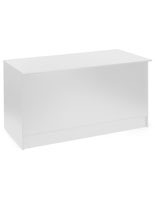 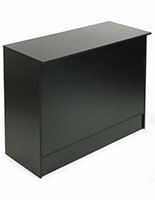 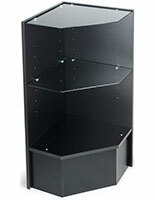 This wide black retail counter with storage is designed for commercial and retail use. 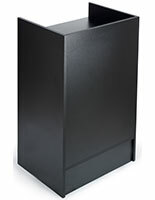 Each 38" tall flat-top fixture is made from melamine-laminated particle board to withstand heavy use. 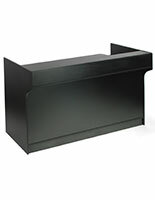 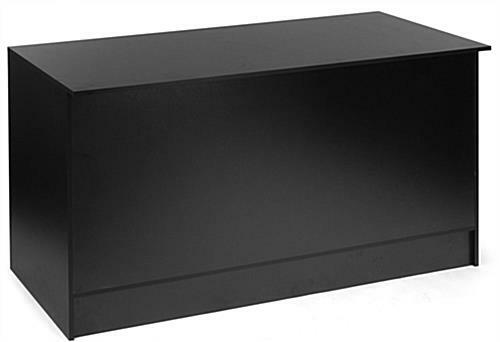 The 70" wide black retail counter with storage features an 18" deep countertop. 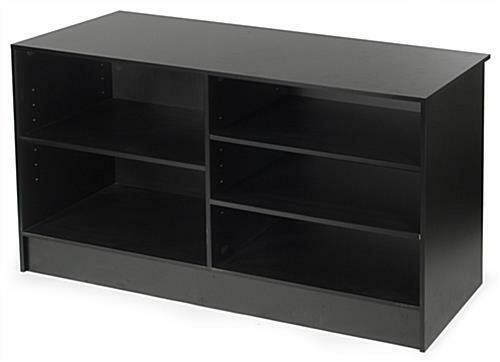 An open back area contains three adjustable-height shelves perfectly suited to storing merchandise, accessories and more. 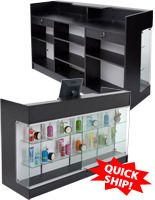 The black-finish retail counter with storage functions as needed as a cash wrap, sales or customer service kiosk or merchandise display. 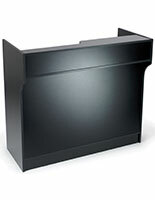 The versatile fixture's neutral finish and plain front panel are designed to complement any decor or environment.